Todd K. Nichols. Sales Clerk, Visual Merchandising, Head of Security. I worked at True from 1999 – 2004 (roughly). 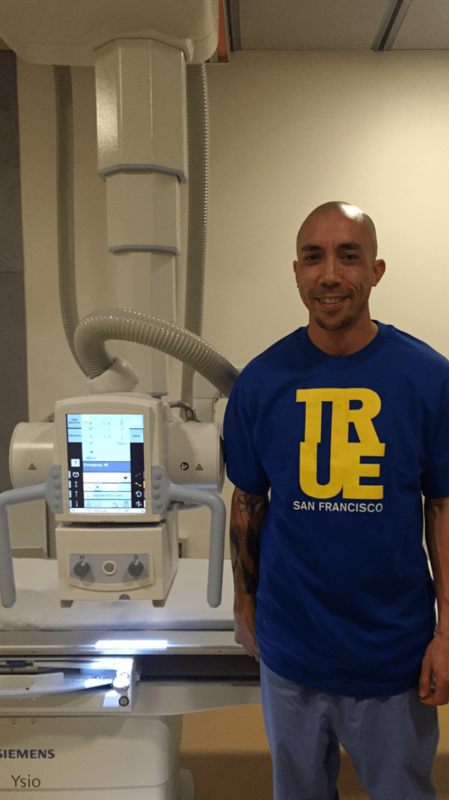 Prior to working at True I was a Front End Manager at the Whole Foods on Van Ness in SF, and I’m currently the Lead Radiologic Technologist / Supervisor at Kaiser Permanente in Redwood City. My fondest memory? That’s a tough one as I have so many from my time on the block at True. 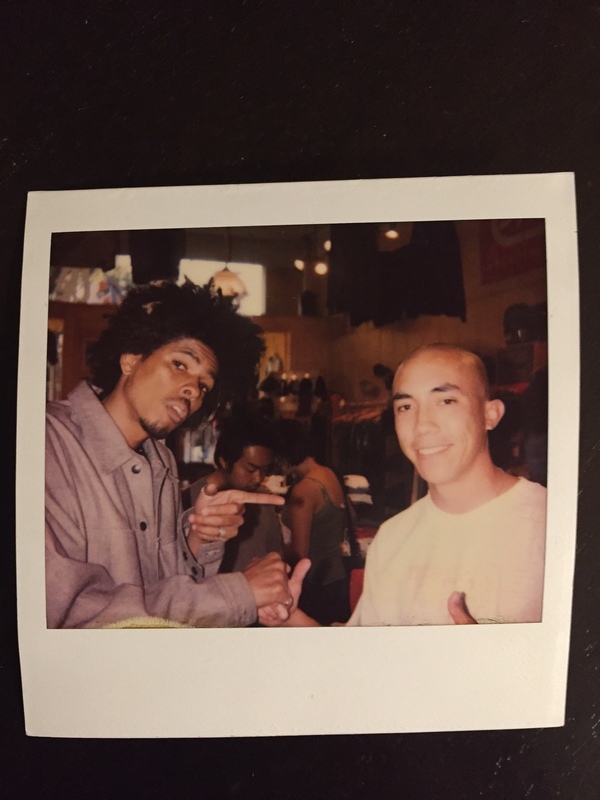 When I initially got hired, I was just stoked to have landed a job at my favorite shop. I was unaware that I was simultaneously being adopted into a family. And in general, just interacting with the other True family members at work on the daily are some of my favorite memories. The everyday shenanigans, busting each other’s balls, crackin’ jokes. It wasn’t work to me, it was fun. Rockin’ out to the latest DJ Supreme mixtape, and especially people watching. I could watch people all day on Haight and be entertained. Getting first dibbs on all the latest gear and sneakers was always an added bonus. And lastly, the True sales…they were crazy! There would be a line of people wrapped around the corner waiting to get in and catch a deal on some gear. And during my generation, we were allowed to drink during those sales, which made them sort of a party for us. When the sale was over and all the customers were gone, you had to be aware because anybody caught slippin’ would get hockey checked into a pile of t-shirts. And we would dress up in the whackiest combination of gear possible. I guess the occasional theft attempts are some of my worst memories. I always took it personally. I knew there were times when dudes would come into the shop with bad intentions and they would size me up thinking they could get over on me. There’s a few stories of me running up and down the street with my shirt off chasing thieves to recover stolen items. I was always proud of myself when I was able to re-obtain what was taken. And to a certain extent, part of me wanted to show Mike and everybody else I was willing to defend the shop. I had a pretty good record and I took pride in that. (1) The importance of the sneaker in regards to self expression. Especially now that I’m a healthcare worker and I wear scrubs to work every single day. One of the only ways to express yourself in the hospital in thru your sneakers. I still have about 150 pairs of sneakers from those days, and I still got some gems. Every once in a while I’ll pull out a pair and rock them to work, and I’ll snap some necks in the hospital. (2) Age ain’t nuthin’ but a number. To the future customers of True: If you come in and unfold every t-shirt, at least buy one. To the future employees of True: By any means necessary, try to avoid having Mike B. creating your nickname. The post Todd Nichols (the interview) | #TRUE20 appeared first on True Clothing - Blog.